Florida Power & Light Company issued the following announcement on Jan. 16. Florida Power & Light Company (FPL), already a leader in solar energy, today announced a groundbreaking "30-by-30" plan to install more than 30 million solar panels by 2030 and make the state of Florida a world leader in the production of solar energy. FPL has secured solar sites throughout the state, which will enable the company to continue to cost effectively build solar energy centers across Florida. This bold plan will capture economies of scale and promote the construction of efficient and cost-effective solar generation. The end result will be the largest installation of solar panels by a regulated utility in the world and a 67 percent fleet-wide reduction in carbon dioxide (CO2) emissions rate by 2030 as compared to the national average. FPL and its sister company, NextEra Energy Resources, are already the world's largest producer of renewable energy from the wind and sun and, when this plan is completed, FPL expects to be the largest utility owner and operator of solar in America. 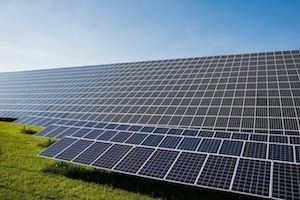 Having advanced clean energy affordably for many years, including embarking upon one of the largest solar expansions in the country over the past two years, FPL also will be making unprecedented investments in advanced and innovative battery storage technology that will extend the use of clean, affordable solar energy even after the sun has gone down. "FPL is not your traditional electric company," said Eric Silagy, president and CEO of FPL. "We're a technology company that delivers power, and we've long believed in making smart, forward-thinking infrastructure investments to produce tangible, long-term benefits – cleaner air, lower electric rates and reliable service – for our customers and our state. Now we're taking our long-standing clean energy commitment to the next level. Bottom line, this bold, innovative plan is the right thing to do for our customers and for our fast-growing state, and we look forward to working with local and state officials and our regulators to make this vision a reality." "I am supportive of programs that will provide Floridians with greater access to affordable, clean energy which will help propel the State to a healthier future," said Florida Gov. Ron DeSantis. "We live in the Sunshine State and solar energy is a natural resource that should be seriously considered. FPL's initiative is important. As Florida's energy needs continue to grow at a rapid pace, it is important that we diversify our energy resources. This is vital to the economic well-being of our State and quality of life for residents." "FPL's '30-by-30' plan is a monumental commitment to the State of Florida, our clean energy progress and the economic well-being of our cities, counties and all Florida workers and residents," said state Senator Bill Montford (D), Chairman of the Environment and Natural Resources Committee. "The best part about this announcement is that we know we can trust FPL to deliver on its promise because the company has a history of overachieving when it says it will modernize Florida's clean energy mix," said state Senator Wilton Simpson (R), Chairman of the Innovation, Industry and Technology Committee. FPL already has begun pairing battery storage technology at its solar power plants. Future technology is planned to increase the capacity and cost-effectiveness of batteries, making them a vital part of FPL's future. As a result, the company projects to deploy a significant amount of battery storage throughout Florida by 2030. FPL's planned renewable energy generation and storage, combined with its nuclear power plants in St. Lucie and Miami-Dade counties, is projected to generate more than 40 percent of its electricity emissions-free by 2030, even as the state's population – the third highest in the nation – continues to grow. In fact, the company's 2030 CO2 emissions rate target represents a 67 percent reduction versus the 2005 U.S. electric industry average. "FPL and NextEra Energy Resources have been at the forefront of advancing affordable clean energy for decades," Silagy said. "It's why our customers enjoy electricity that is among the cleanest and most reliable in the country for a price more than 30 percent below the national average. That said, we're not satisfied with the status quo and understand that our customers expect even more from us as energy experts and industry leaders. It's why we're reimagining the way we serve our customers and challenging ourselves to find even more innovative ways to do what's best for Florida and the nation." By far the state's largest producer of solar energy, FPL has studied solar technology for decades and, today, operates 18 large solar power plants and hundreds of other universal solar installations across Florida. In 1984, FPL commissioned its first universal solar installation, a 10-kilowatt photovoltaic facility in Miami that helped the company's employees gain experience with the then-emerging technology. Over the years, FPL has continued to test and operate a wide variety of solar technologies. In 2009, FPL became the first company to build large universal scale solar projects in Florida and, in 2016, was the first to leverage its purchasing power to build three 74.5-megawatt solar power plants, which are producing net savings for FPL customers. For several years, FPL and its sister companies have researched battery storage technology to study a variety of potential benefits, from grid stabilization to improved solar integration. In 2018, FPL unveiled the largest combined operating solar and storage power plant at Babcock Ranch in Charlotte County, uniquely advantageous because of the ability to harness extra energy produced at solar power plants when the sun's rays are strongest. The additional solar energy and the increased predictability afforded by battery storage can enable FPL to more efficiently dispatch other power plants, helping save customers on fuel costs while reducing emissions. FPL's four nuclear units in St. Lucie and Miami-Dade counties have long generated zero-emissions energy 24/7 for customers and are essential to preserve clean air and address climate change. In recent years, FPL has invested more than $3 billion to upgrade its Turkey Point and St. Lucie nuclear units, adding more than 500 megawatts of new carbon-free capacity, which is the equivalent of adding more than two million solar panels. FPL plans to continue increasing the fuel efficiency of its highly efficient fleet of natural gas power plants. Since 2001, the company's program to phase out older, oil-fired power plants and replace them with highly efficient clean energy centers has reduced the company's reliance on foreign oil more than 99 percent, saved FPL customers more than $9.5 billion in fuel costs and prevented 120 million tons of carbon emissions from being produced. The FPL Okeechobee Clean Energy Center – which will run on U.S.-produced natural gas – is set to be the cleanest, most fuel-efficient power plant of its kind in the world when it comes online later this year, only to be topped in efficiency by the FPL Dania Beach Clean Energy Center when it begins generating electricity in 2022. FPL is also poised to eliminate its only remaining coal plant in Florida by the end of this year. The company shut down two coal plants in Jacksonville in 2016 and 2018, respectively, collectively preventing nearly seven million tons of carbon emissions annually. Want to get notified whenever we write about Florida Power & Light Company ? Next time we write about Florida Power & Light Company, we'll email you a link to the story. You may edit your settings or unsubscribe at any time.